Edited by Ralph Windsor, "Digital Asset Management News contains the latest news, reviews, trends and opinion about the Digital Asset Management (DAM) industry including comment and analysis from our in-house editors as well as feature articles contributed by independent authors." "A group for Canadian professionals in the content management community involved in DAM, MAM, Brand, Production and Creative Asset Management, Rights Managers, MLIS and Archive professionals, and the allied business operations." The Digital Asset Management (DAM) Section operates within the IT Division of the Special Libraries Association (SLA), and serves as a forum for members to network and exchange information and best practices on topics related to the principles and practice of managing digital assets within all industries. This organization provides education, research and certification for information professionals in various areas related to information and asset management. TIMAF mission is to serve as a guide for all information management disciplines (content management, records management, asset management, and more)....To "bring the commonalities between sub disciplines to light and help to organize the best practices and the framework that we publish." As part of their mission, the Media & Entertainment Service Alliance (MESA) supports "service providers in building efficiencies in the creation, production and distribution of physical and digital media and entertainment." "Smart Content enables companies to leverage new content intelligence tools to streamline their productions and supply chains, while gaining unprecedented marketing data and analytics about how their content is being consumed.....The Smart Content Council meets regularly to share best practices, evaluate emerging technologies and collaborate to accelerate the pace of transformation in our industry." "The Museum Computer Network (MCN) supports the greater museum community by providing continuing opportunities to explore, implement, and disseminate new technologies and best practices in the field." "The listserv gives you the opportunity to post questions and ask for advice from your colleagues in the information technology community on an extensive range of topics from software recommendations to technical questions about digital images and more." to develop and document best practices for DAM and DAMS based on knowledge gained through implementation, use and feedback on working systems. The VRA Bulletin is published three times a year. PVC is geared towards video professionals, and features information on topics related to the entire production workflow in broadcast environments, including a section on digital asset management. The Sports Video Group's mission is in part "To advance the creation, production, and distribution of sports content...." The SVG hosts an annual "Sports Asset Management and Storage" conference. 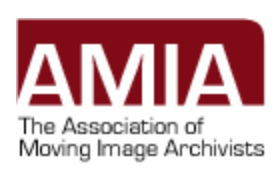 "AMIA is a non-profit professional association established to advance the field of moving image archiving by fostering cooperation among individuals and organizations concerned with the acquisition, description, preservation, exhibition and use of moving image materials." 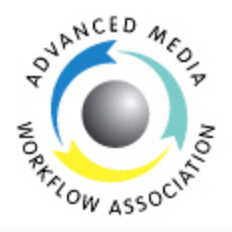 "dedicated to the preservation of and access to the world's film heritage since 1938"
"The Advanced Media Workflow Association (AMWA) is an open, community-driven forum focused on the creation of timely, innovative, business-driven specifications and technologies for networked media workflows."